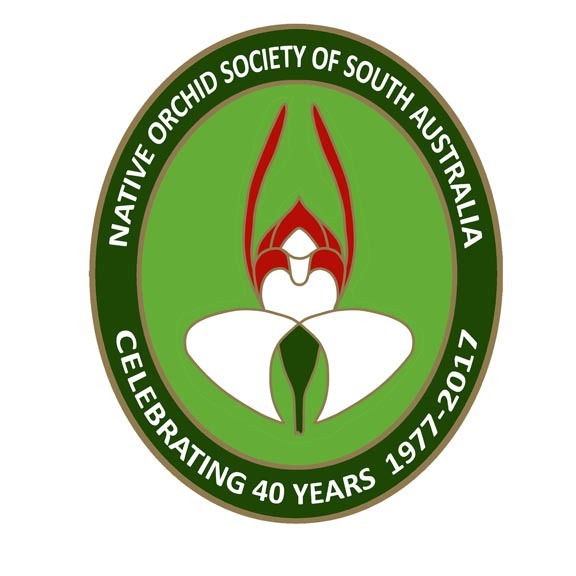 October is Orchid Month with the greatest number of species flowering throughout South Australia; so it is worth considering the role of orchids in the Australian bushland. Hence this week’s blog is an article written by Belinda Newman, Western Australia. What could orchids and canaries possibly have in common? Before occupational health and safety and ventilation systems were commonplace in the mining industry, a caged canary would be bought down to the coal seam by the miners. Canaries are particularly sensitive to methane and carbon dioxide which made them excellent indicators for the build-up of dangerous gases. A singing canary meant everything was fine, a dead canary spelt trouble and an immediate evacuation. Although orchids can’t sing, they do possess a number of traits that make them sensitive ecological indicators. The relationships that orchids have with their surroundings form part of a complex ecological web. Orchids have specific relationships with mycorrhizal fungi, which they require both for germination of their dust-like seed and ongoing growth of plants in adulthood. These fungi in turn rely on the appropriate soil moisture content and carbon sources. Above ground, the majority of terrestrial orchids in the south west of Western Australia rely on pollinators for successful seed set. For some orchids this plant-pollinator relationship has become so highly evolved that removal of the pollinator would spell the end of the orchid. The pollinators also have specific requirements for habitat, appropriate food sources and nesting sites. These above and below ground links to the ecosystem make orchids particularly sensitive to disturbances and changes in their surroundings. The potential for orchids to be used as indicators of ecosystem health formed the basis of a study between Kings Park and Botanic Gardens and Murdoch University. The coal seam was eleven urban reserves of varying condition on the Swan Coastal Plain. The canaries were seven orchids common to Perth’s urban bushlands; the Carousel spider (Caladenia arenicola), Cowslip orchid (Caladenia flava), Pink Fairy orchid (Caladenia laitfolia), Pansy orchid (Diuris magnifica), Dark Banded Greenhood (Pteryostylis sanguinea), Purple Enamel Orchid (Elythranthera brunonis) and the Mignonette orchid (Microtis media). Before it was possible to see which orchids made the best canaries, it was important to determine the health of each of the bushland sites. A number of environmental variables were chosen that best reflected the health of the ecosystems. Extensive surveys and analysis of species composition, plant functional groups against these environmental variables revealed a range of site conditions from close to pristine to highly degraded. This provided the backdrop against which to determine the effectiveness of orchids as indicators through the measured responses of the orchid species. Firstly orchid presence and abundance was measured across sites to determine if particular orchid species showed a preference for particular site conditions. Diuris magnifica and Microtis media showed strong correlations and were most abundant in poor condition sites and Pteryostylis sanguinea showed strong correlations to sites in good condition. While the abundance and presence of orchids appeared to correlate with site condition, we wanted to know what other aspects of the orchid we could measure as a means of judging the health of an ecosystem. Successful seed set in plants reflects a healthy ecosystem and the reproductive success of the seven orchid species was investigated to determine the effects of declining site condition on seed set. Pollination trials were set up to measure natural and artificial pollination events across all sites. Widespread depression in pollination across all species and sites was found to be occurring, rendering seed set a poor measure of ecosystem health. 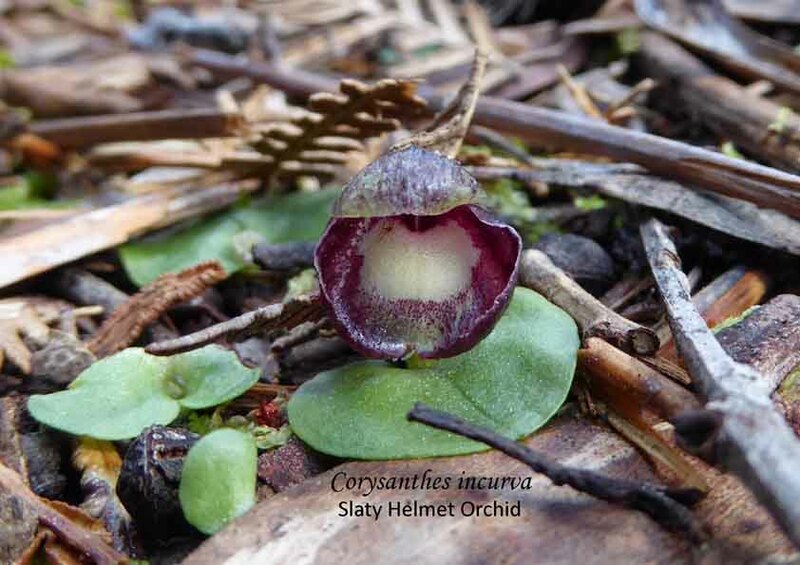 Investigations into the below-ground links orchids have with the ecosystem were undertaken by determining the presence and abundance of orchid mycorrhizal for the seven orchid study species across all sites. Mycorrhizal distribution was found to be patchy within urban reserves and also revealed unoccupied niches capable of supporting orchid germination. A greater abundance of Microtis media mycorrhizal at sites of poor condition supported earlier correlations of plant abundance at sites of poor condition. The higher abundance of mycorrhizal symbionts for Caladenia arenicola at sites of very good condition also suggests its potential as an indicator species. The study also looked at seedling growth in urban reserves. This was the first time that biomass allocation in orchids has been investigated in light of ecosystem health. In poor condition sites, Diuris magnifica and Caladenia arenicola increased growth effort to the above ground leaf. In sites of very good condition, these two species increased growth to the tuber to take advantage of being able to store starch as a result of both fungal and photosynthetic activity taking place. Most importantly this shows a measurable change over a short period time. Although it is effort intensive, planting orchid seedlings of a standardised size into the field may provide a useful and rapid measure of ecosystem health, much like caged canaries were used in the past. This research into using orchids as an indicator species is the first of its kind and suggests that orchids can be used as an indicator of ecosystem health. Future research will need to focus on the thresholds of the species identified as potential indicators in this study. What aspect of the orchid’s ecology will give clear and repeatable data linked to ecosystem health? Following the canary analogy, how long can orchids hold their breath? Future studies would need to focus on testing these thresholds. The results of this study suggest that orchid presence and abundance, orchid growth and orchid symbionts can be used as indicators of ecosystem health, although work needs to be undertaken to refine the understanding of their response to specific disturbances. This study provides a baseline for investigating the utility of orchids as indicators of ecosystem health in highly fragmented systems. Perhaps orchids and canaries have more in common than first thought. This entry was posted in Articles, Conservation, Research and tagged Australian orchids, Belinda Newman, Caladenia arenicola, Caladenia flava, Caladenia latifolia, Carousel spider orchid, cowslips orchid, Dark Banded Greenhood, Diuris magnifica, Elythrantera brunonis, Microtis media, mycorrhizal fungi, Native Orchids, Orchid research, Pansy Orchid, Pink Fairy Orchid, Pterostylis sanguinea, Western Australia, Wild orchids. Bookmark the permalink.